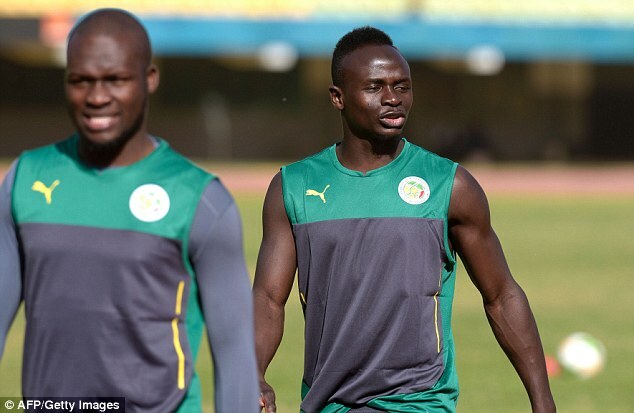 Liverpool’s Sadio Mane, Everton’s Idrissa Gueye and West Ham’s Cheikhou Kouyate have started training with Senegal ahead of the Africa Cup of Nations in Gabon. Mane is Liverpool’s top scorer this season with nine goals in the Premier League – two more than Adam Lallana. 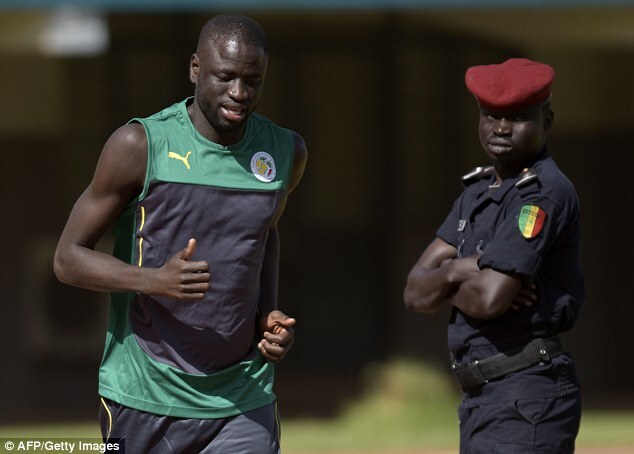 Yet Jurgen Klopp will have to make do without the 24-year-old after he left for Senegal’s pre-tournament training camp in Dakar. Mane left Liverpool with mixed feelings as he told his team-mates ‘good luck’ in continuing their Premier League title challenge as they sit second Chelsea. 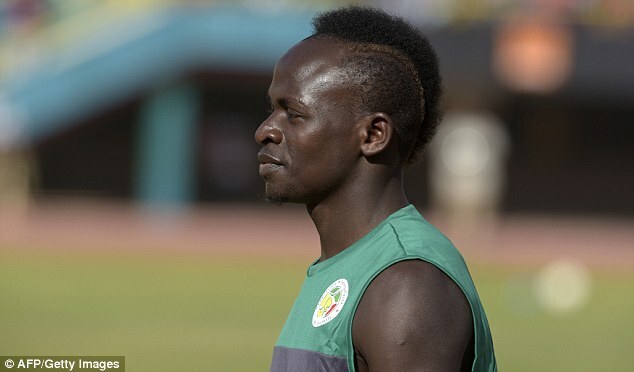 ‘It won’t be easy for me to leave because I would like to help them until the end of the season,’ Mane told LFC TV. ‘But I wish them good luck. We have a strong team and I think it won’t be a problem. They will do it. The final of the Africa Cup of Nations will take place on February 5. 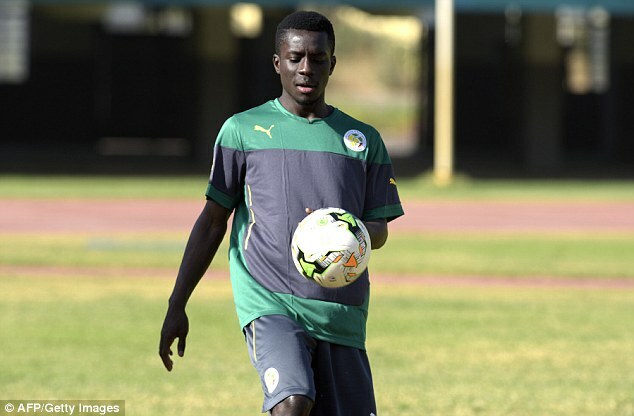 Everton will also miss Gueye, their midfield general. The 27-year-old has been a key player for Ronald Koeman since signing from Aston Villa in the summer for £7.1million. 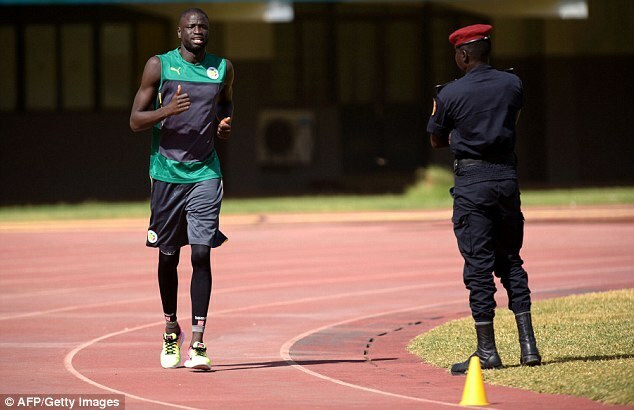 Also training was Kouyate, as the West Ham midfielder ran laps around a running track. 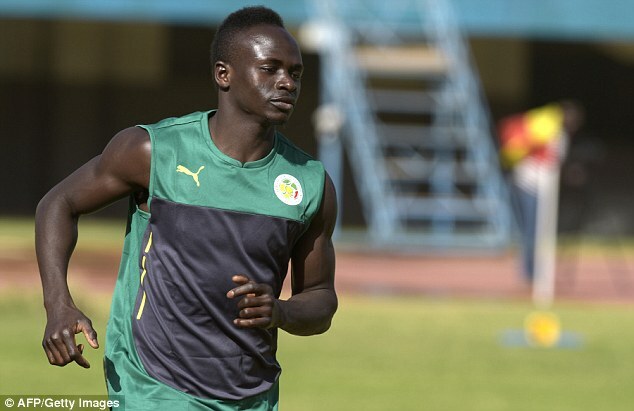 The 27-year-old played in the loss to Manchester United on Monday then left for Dakar to meet up with the Senegal squad.